I'm a huge hockey geek with a big collection of pro stock gear. I play hockey 3-4 nights a week in various beer leagues and drop-ins. I currently work at a rink where I maintain/sharpen skates and work in the pro shop.I've worked in the hockey industry for years and love sharing my knowledge with others! When choosing a hockey stick, the term “pop” is thrown out a lot. The definition of pop may vary from player to player, but the overall consensus is that the amount of pop correlates to how hard the puck shoots off of the blade. CCM has never been shy about advertising the amount of pop from its Ribcor line, but how does it actually perform? As a huge fan of this line, originating back to the original Reebok Ribcor released in 2013, I will say that the newest installment lives up to the #maxiumumpop hashtag. For reference, I am 5’10” and 175 lbs. 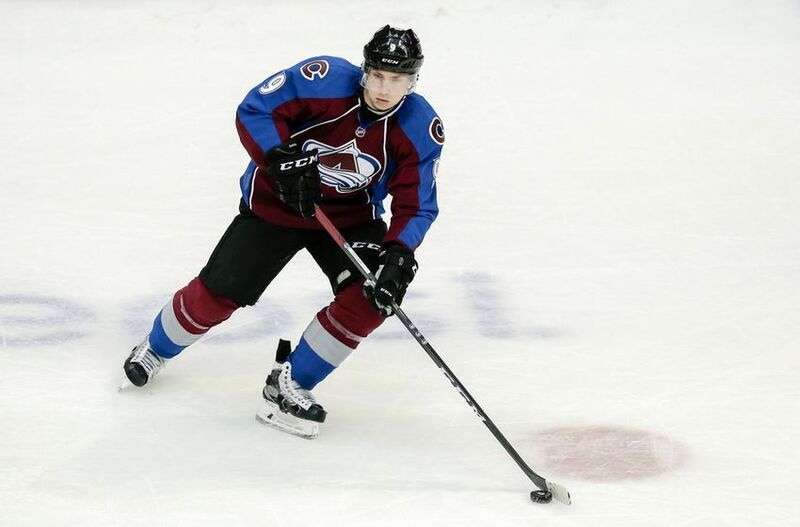 I use a right handed, 75 flex stick with a P28 McDavid curve. I am a player that likes to shoot. A LOT. 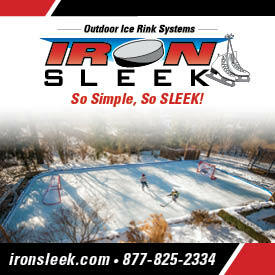 I mostly play 3 on 3 hockey on a smaller rink, so accuracy is a huge factor when taking a large volume of shots. With that being said, the Trigger ASY does not disappoint. If you’re a sniper, you will love this twig. Like last year’s Ribcor, the Trigger ASY features a pre-loaded concave rib for maximum pop! The CCM Ribcor Trigger ASY is the ultimate shooter’s stick. It’s not overly light, but weighing in at 420 grams, it is light enough to release shots as quickly as possible. Like the Reckoner before it, the Trigger utilizes CCM’s “Pop-Matrix” concave rib technology, which minimizes the load time of the shot. 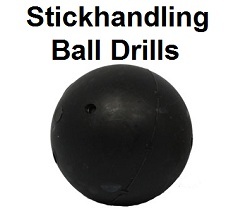 Combined with the ultra-low kick point, this stick boasts a release so fast, goalies won’t know what hit them! The blade of the Trigger ASY is the Ascent 2 blade, which features a softer mid-heel and a stiffer toe. 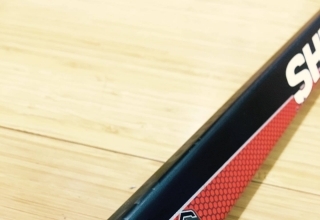 More foams were added to this blade for more puck feel, however the outer blade features the same stiffness as the Ascent 1 blade. The stiffer toe area really allows shots to rocket off the blade with tons of the aforementioned pop that shooters look for. The shaft features Technora construction that increases the durability of the stick without compromising weight. The Ascent 2 blade is a step up from last year’s Ascent 1 blade in this writer’s opinion! Like mentioned before, the Trigger ASY comes in at about 420 grams uncut/untaped. In my opinion, this is the perfect weight for a stick. I’ve tried the True A6.0 and while it was a great stick, it was way too light for my liking. The balance of this stick has definitely improved from the Reckoner and Ribcors before it. The shaft’s flex feels true and accurate to rating. After using the stick 2-4 times a week since November, I haven’t felt any deterioration or “whipping out” in the shaft. The blade of this stick is fantastic. The stiff toe really keeps pucks flying off of the stick and into the back of the net. The puck feel has improved from the previous Ribcor sticks. Although it has softened up since the original Ribcor, it still has a lively feel, similar to the Warrior Covert and True A-Series sticks. 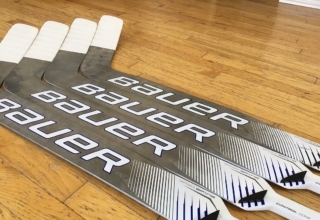 If you’re a fan of a softer & dampened puck feel found in the Bauer Vapor/Nexus, True X-Core, and Sherwood EK series, there may be a bit of an adjustment period using this blade. The biggest complaint I’ve had about previous Ribcors (as well as the RBZ series) was that it was a little bit harder to find the puck on your blade. The Ascent 2 blade has brought a big improvement in that regard. I’m not a dangler, nor will I ever be one, but stick handling and passing feels easy and natural. 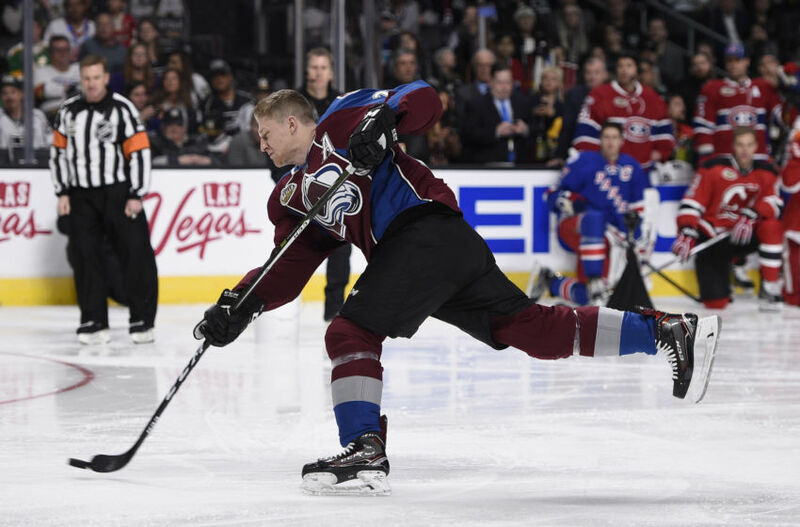 Nathan MacKinnion using the CCM Ribcor Trigger ASY in the 2017 NHL’s hardest shot competition. Shooting is where the Trigger ASY really shines. With the combination of the stiff toe and low kick point, this stick SNIPES. Wrist shots are easy to load up and the puck really flies off the blade. 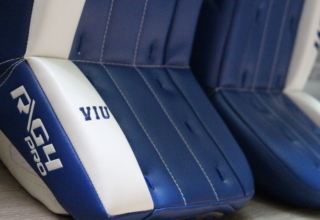 There is minimal “fluttering” and pucks come off nice and clean with lots of backspin. While this stick doesn’t excel with slap shots like the RBZ line, they felt solid. 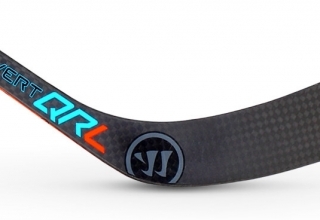 Overall, this stick is really designed for quick snap and wrist shots. The accuracy of this stick is fantastic, as I’ve been able to pick out corners and leave goalies shaking their heads. There have been mixed reviews about the durability of the Trigger ASY online, however I’ve used it 2-4 times a week for 4 months and it has been holding up very well for a top-end stick. The blade is still solid and has a ton of pop. I tend to wear down the toes of the blades from shooting off the toe and digging for pucks in the corners of the small rink, but the toe of this stick is still intact. While the CCM RBZ line is one of my favorite sticks, I have gone through a lot of them due to deterioration of the toe. The Trigger ASY has not had this problem yet. There are a few cosmetic chips on the blade, but none of them affect the structural integrity of the stick. I will report back in a few months to update the status of this stick, but I have been very pleased with the durability so far! Overall, the CCM Ribcor Trigger ASY has been one of my favorite sticks of all time, if not my #1 favorite stick. I haven’t enjoyed a stick this much since the original Reebok Ribcor. 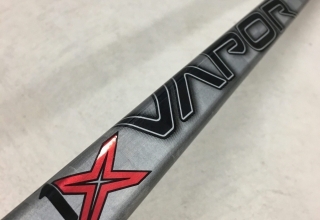 If you’re a sniper that takes lots of wrist and snap shots, you will love this stick. Video review coming soon! 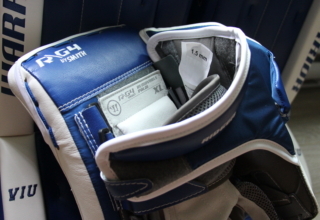 I'm a huge hockey geek with a big collection of pro stock gear. I play hockey 3-4 nights a week in various beer leagues and drop-ins. 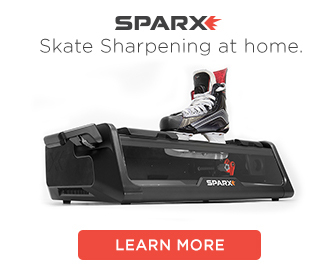 I currently work at a rink where I maintain/sharpen skates and work in the pro shop. I've worked in the hockey industry for years and love sharing my knowledge with others!